At Campsite Pra’ delle Torri there is a lot to do for teenagers. 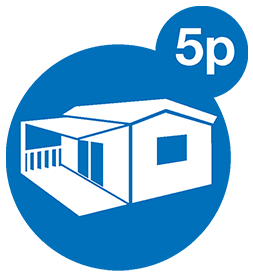 The campsite is aimed at entertaining children of all ages and there are plenty of activities and facilities for everyone! From basketball fields to musicals and archery, your teenager doesn’t have to get bored on a holiday. There is a small disco for the older teenagers (18+), where they organise parties during the season. For the active teenagers who want there are many sports that can be practiced such as basketball, volleyball, football, tennis, wind surfing and even archery. 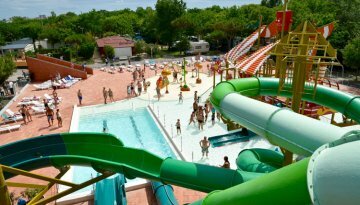 Teenagers and adolescents meet each other in the specially developed activity park of Campsite Pra’ delle Torri. 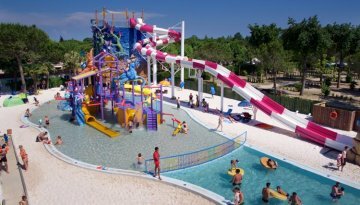 The activity park is over 1500 m² big. It includes a skate park with different slopes, a free style-panna football field, climbing wall and a place to listen to some music. The teenagers and adolescents can totally relax in the chill house. Also at the swimming pool and beach, they thought of teenagers with slides and a big sandy beach with delicious cocktails. During high season parties are organised on the beach of Comacchio. During the city parties, local and typical dishes are eaten from the Comacchio and Ferrara region. These regional products are for example Ferrarese fish caught at the delta of the Comacchio. It is served with a piece of pumpkin and the Ferrara and famous salami. This is accompanied by a good glass of wine of the ‘Bosco Eliceo D.O.C. Off course this is only for teenagers above the age of 18, due to the regulation about alcoholic drinks. The city parties are fun to experience, just as the Italians, with the whole family. 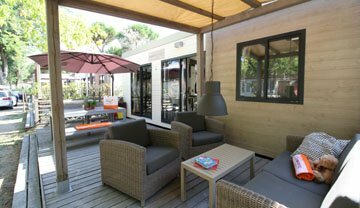 At the beach of Campsite Spiaggia e Mare teenagers can relax and chill together. For the teenagers who love some action there is plenty to do. They can follow canoe courses or participate in a football competition. At the campsite there is nice climbing park, where you can climb high up in the trees. For the ones who love sport there are football and volleyball fields, table tennis and a jeu de boules court. Water sports activities can be practised close by the campsite. Here they can learn how do dive or windsurf. 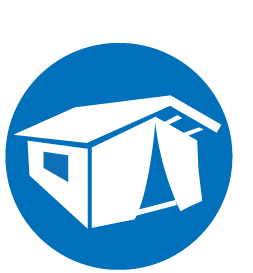 These facilities can be done for a small fee. In the evening, there are different shows for all ages, from dance evenings to theatre performances. After these shows, performed by the animation team, teenagers can go to the underground disco and have a party together. Just outside the campsite (across the street) there is a disco. With parties every weekend. For the active guests there is a fitness centre and an outdoor gym where you can sport under the Italian sun. At and near the campsite there is a lot to do for teenagers. Outside the campsite, there are tennis courts, a football field, a mini golf and a horse riding school. They can also follow lessons of windsurfing and archery to discover hidden talents. 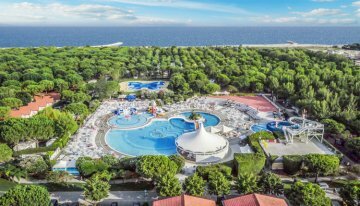 A cosy and small campsite with a private beach and nice swimming pools. Nice activities are organised for teenagers such as sport championships of volleyball, football or tennis. In the evening parties are organised or the animation team perform some shows. These shows are both for younger and older children. There is a special teenage club (13-17 years). 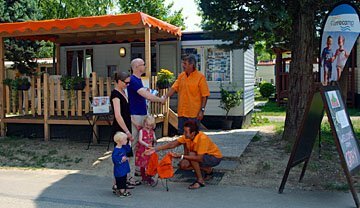 This is the ideal campsite for families with children. 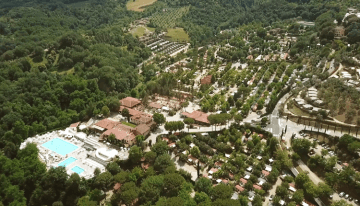 From pool tables and computers to a fitness room and a variety of sport fields, it is present at campsite Campsite Norcenni Girasole Club. Both for the teenager who loves to game as for the active teenager. In the evening, the soundproof disco opens her doors. The teenagers can end their day with a good party without disturbing the other guests. At the campsite there is a lot to experience! For the active teenagers there is a lot to do, the animation team organises regularly activities at the sport fields. Examples are table tennis, volleyball and football championships. At the small village of Marina di Castagneto Carducci there is a disco where teenagers easily can go to along a path from the campsite. Here they can enjoy some music together. In Marina di Castagneto Carducci there are some delicious restaurants where you can eat with your family. You can choose to have dinner at the beach or in the village. On your way back to the campsite you will see some delicious ice cream stands where you can buy a real Italian ice cream or cappuccino. In the neighbourhood of Cisano San Vito you can do many things together with your family. 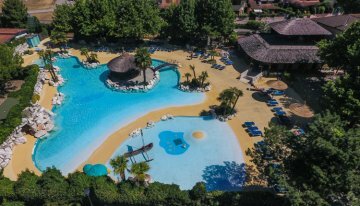 For example the famous amusement park Gardaland, Parco Sigurtá, Movieland Caneva, thermal baths of Aquadens and Natura Viva. 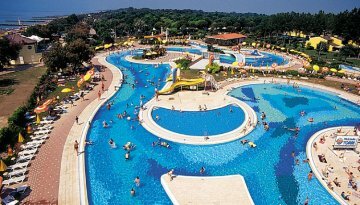 For information about amusement, nature parks and tickets, you can go to the reception of the campsite. The part of Cisano is aimed at the older children/teenagers and all the animation is organised here. Multiple sports can be practiced such as tennis, aerobic and canoe courses, swimming, football and volleyball championship, water-skiing, mini golf and dance evenings. For every teenager there is something to do all day long to enjoy his or her well-deserved holiday. Campsite Sant Angelo is a campsite for sports enthusiasts. You can practice multiple water sports such as windsurfing, canoeing or water-skiing. It’s also possible to rent a water scooter or to tear over the sea on a banana boat. The teenagers who are not so keen on water can play table tennis, beach volleyball or football. For dance lovers there is a disco on the campsite, where they can meet friends. Do you have a passion for food? Then a trip to Jesola is recommended. From wine tasting for the parents to the delicious Italian dishes for the children.